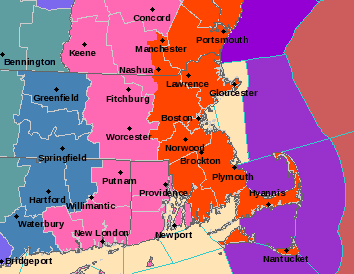 Region wide (sans CC) a winter weather advisory is effect from 1 pm tomorrow through 1 pm Sunday. Everyone starts as snow early tomorrow afternoon. 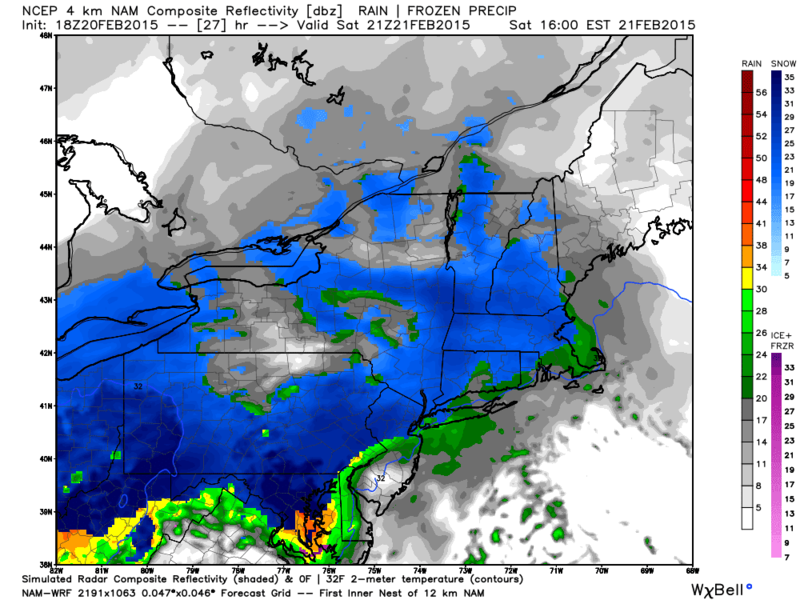 Boston to Providence to Hardfort South and East flip to ice than rain quickly. 3-5 inches of snow falls in Southern Worcester County, NE CT, and N RI before a period of freezing rain and then plain rain. The snow will thump before the changeover. Further N and W stay colder and thus more snow. I am currently expecting a changeover around 10-11 pm in S WOR, NE CT, N RI. Looks to be around midnight around 495 (north of pike). 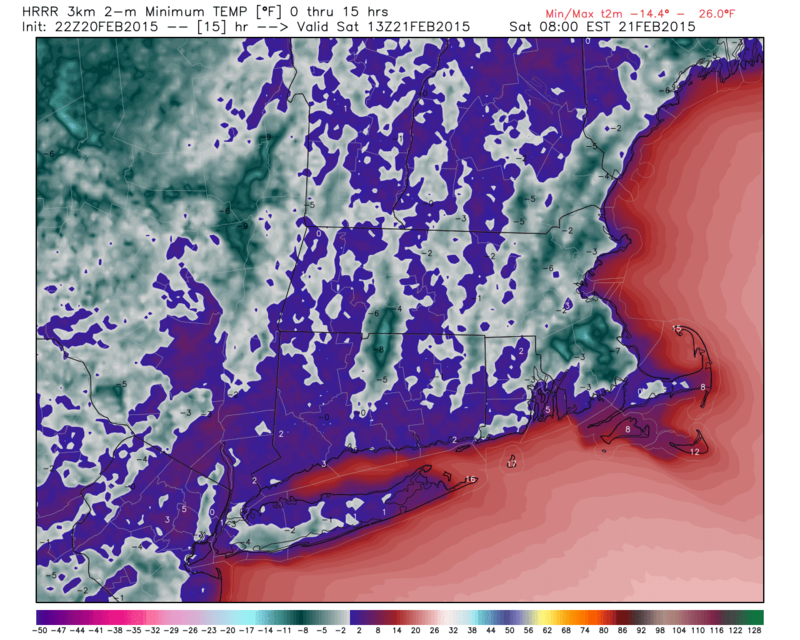 Early Sun AM for N Worcester county. Mainly snow out west. 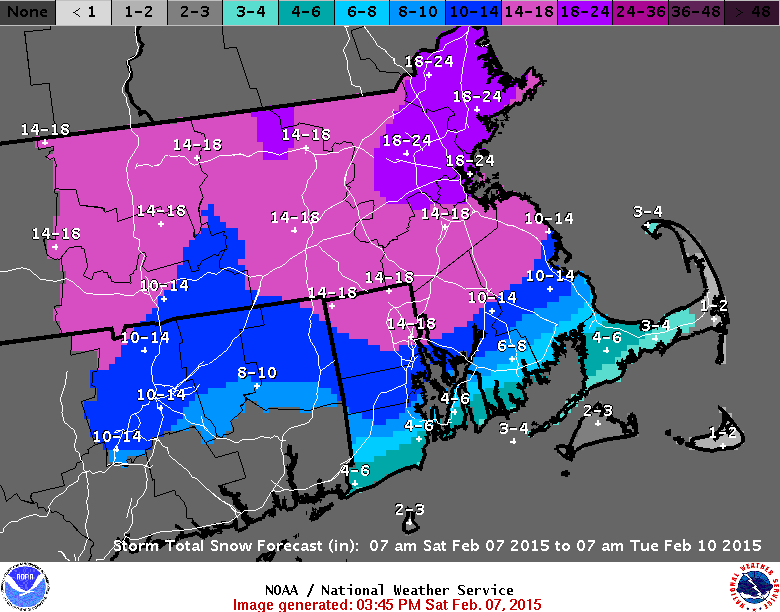 Again I feel slightly higher amounts are likely north of Providence. Hi res radars suggest quite a thump before the changeover. Plus every storm has over performed in E Mass during the blitz. 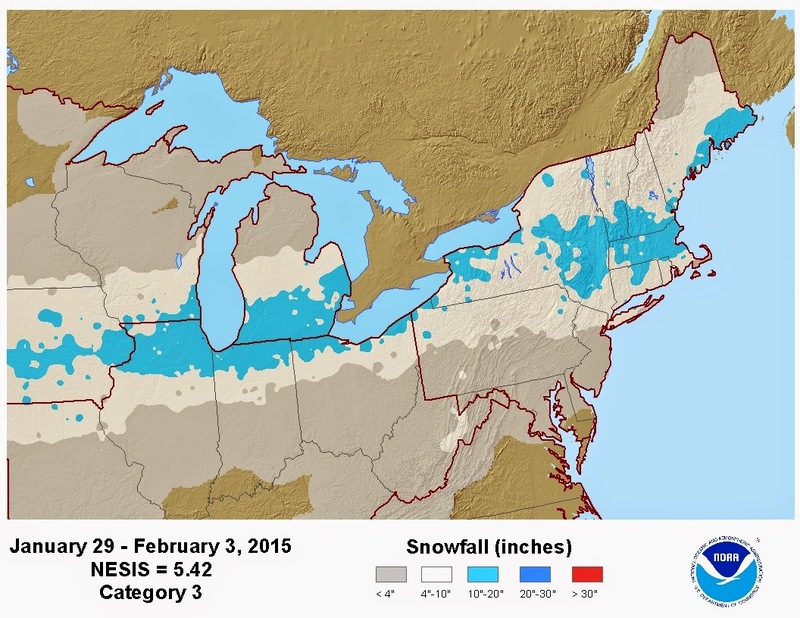 If you are interested keep an eye out for a general blog analyzing what effect this snow pack will have on spring. I am looking for her. We will have to settle for low 40s...maybe Sunday. I think mid to upper 30s is more likely but it will feel great. Arctic air returns Monday. I think more falls in Plymouth County and a bit more in the middle Cape. Another blast of Arctic air late week, another storm possible this weekend. Talk to you again in a few days. I imagine most of you do not like me at the moment. That's OK. Before you know it I'll be forecasting heat waves and thunderstorms. Before we get to that we have a date with history. 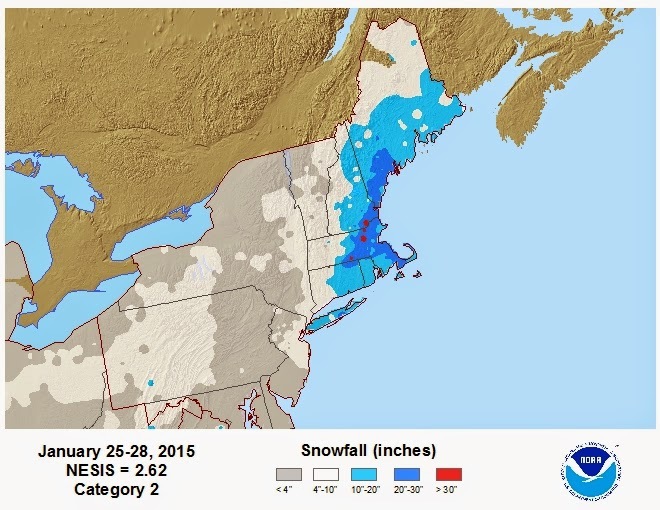 Boston and Worcester have climbed to 3rd place in seasonal snowfall totals. February is Boston's snowiest month in recorded history by a foot. Both January and February are in the top 5 in Worcester for snowiest months. Hi. I've buried the lead. We are going to add to those totals Tuesday. 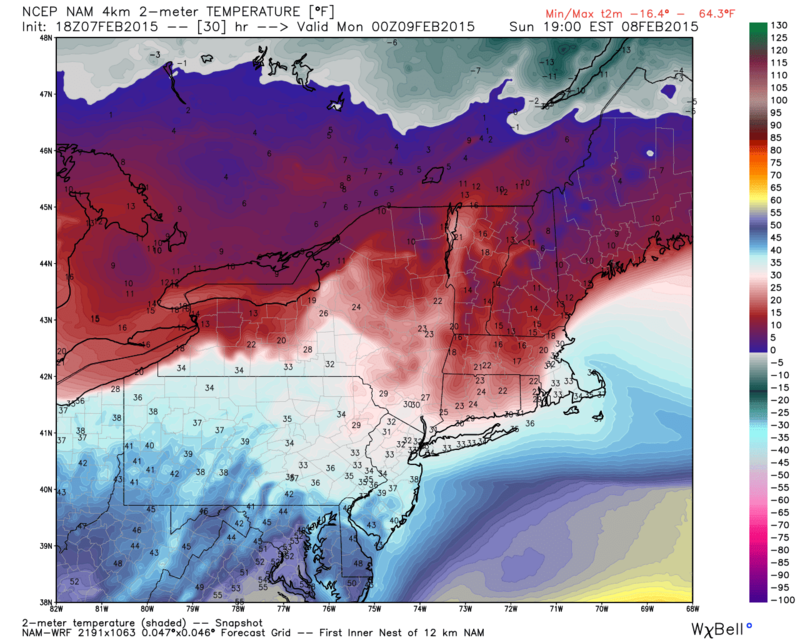 Before we get to that dangerous cold will invade the region. Today's storm took a Northern track. This will create a mess across Missouri, Kentucky, Tennessee, the Carolina's, and Virginia before trying to turn the corner up the coast. 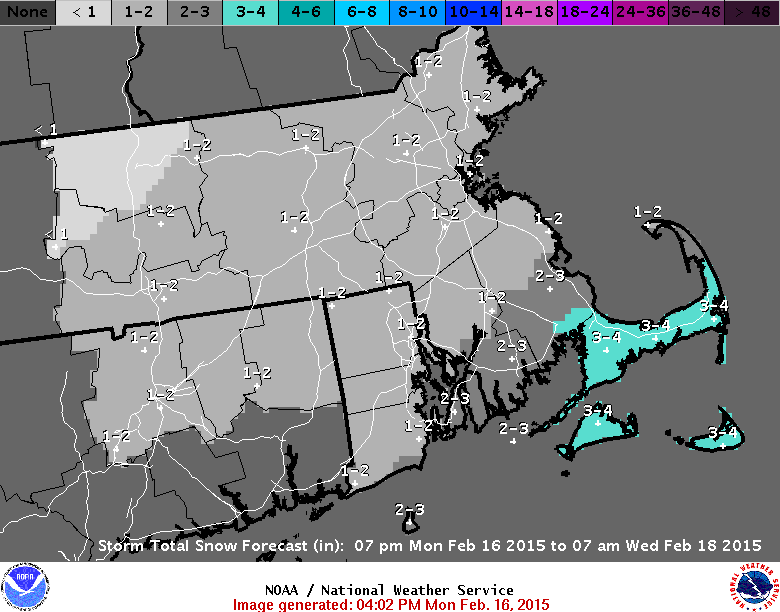 Looks like a decent set up for 3-6 inches, more in SE MA, S RI. This should start around day break. It is a quick mover thankfully. There is also potential for snow Wednesday. I'll address that tomorrow. Finally there was some great video of Jim Cantore on the Weather Channel today. 100% chance I would react the same way. PS-someone made a great point today. We might as well smash all the seasonal snow records. We didn't come this far for 2nd place. Good news first... I think we are on the lower end of accumulating snow this time around, at least west of 495. Coastal MA up thru NH and Downeast Maine will bear the brunt of this storm. This is where Blizzard Warnings are posted. 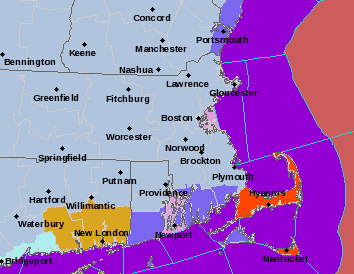 Eastern CT, Cmass, and RI are under a winter storm warning. 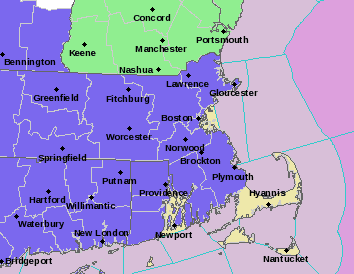 A winter weather advisory exists east of the Berkshires and in central CT. The Berkshires can expect 4-6, mainly tomorrow PM/overnight. and a tight pressure gradient at the surface. The low will deepen to ~974 mb. Meanwhile a ~1040 mb high drops into the plains. Snow wraps up Sunday from SW to NE in Southern New England. Bitter cold follows Monday. Lows are well below 0. Highs won't reach 10. Sounds fun eh? Enjoy your weekend, I will post if something changes. Another weekend, another storm to track. Nearly everyone has had enough snow but mother nature does not care. The record setting snow blitz is set to continue. Two lanes streets have been reduced to one, rooves are collapsing, cities and towns have blown through snow removal budgets and there is no where to put the snow. I poke fun at people who remember the Blizzard of 78 and all in all that was a worse singular storm than any of the 3 we've endured these past few weeks. January 2011 brought storm after storm and similarly high snow banks/roof collapses. That was over a 6 week stretch however, not 3. The Jan 11 storm highlighted that stretch. The blizzard 3 weeks ago remains the foundation for our problems today. I said at the time it was the most fun I've had covering a storm. Well one week later, after cold temperatures allowed minimal melting, we got this. 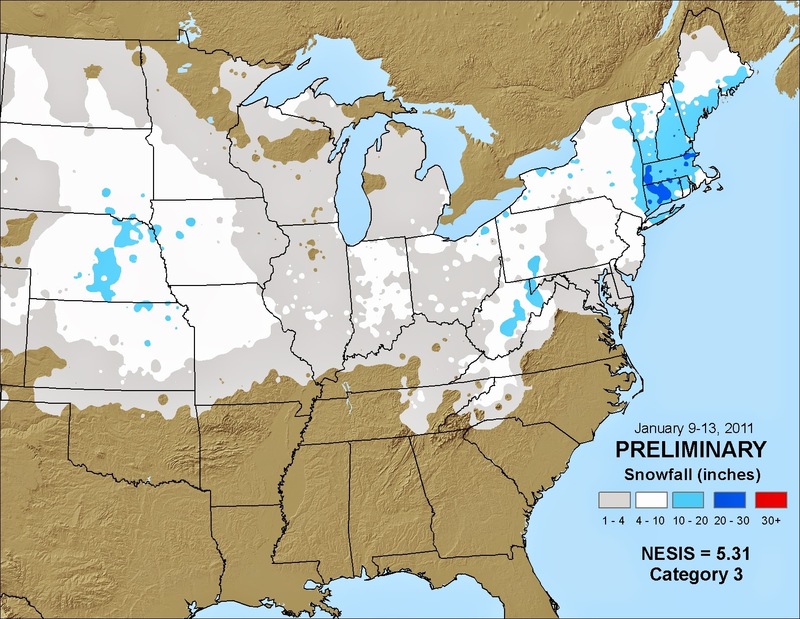 This storm actually ranked higher on the Northeast Snowfall Impact Scale (NESIScheck it out) due to a greater population affected. This storm delayed the Patriots parade and generally crippled the MBTA. Still cold, a 3rd storm struck Sunday/Monday. This provided a KO to the T and started to compromise the structure of buildings. The energy is north of Manitoba. On the surface chart above you can see a weak surface low in NW Manitoba. These means the storm source is truly polar in origin. 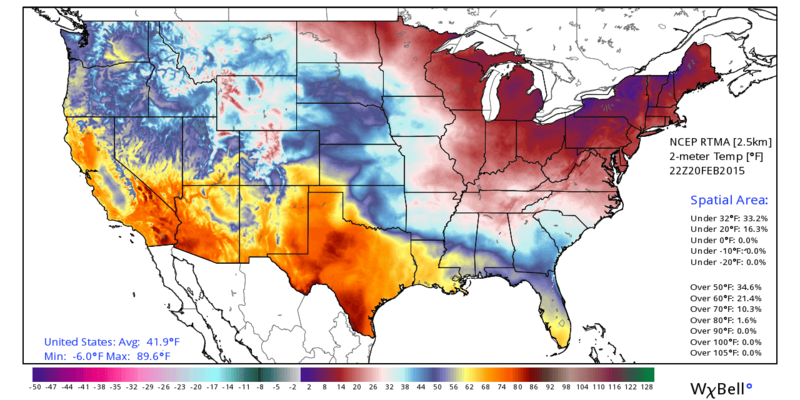 Our air mass tomorrow will be bitter enough. Highs will be in the teens while lows flirt with 0. A wind chill advisory is in effect tonight thru tomorrow AM. It will feel -15 to -20 below. There is also enough confidence for winter storm and blizzard watches! Blizzard in lime green, winter storm in blue. 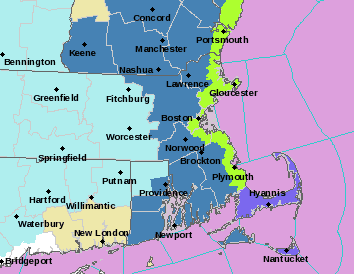 Worcester county and N RI are also under this but the active Wind Chill Advisory supersedes it on the colored map. 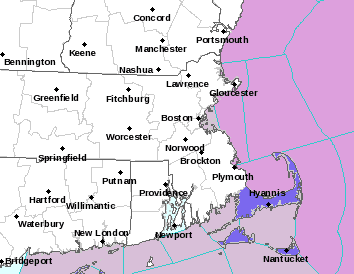 A blizzard watch also is up for the Cape. See here. 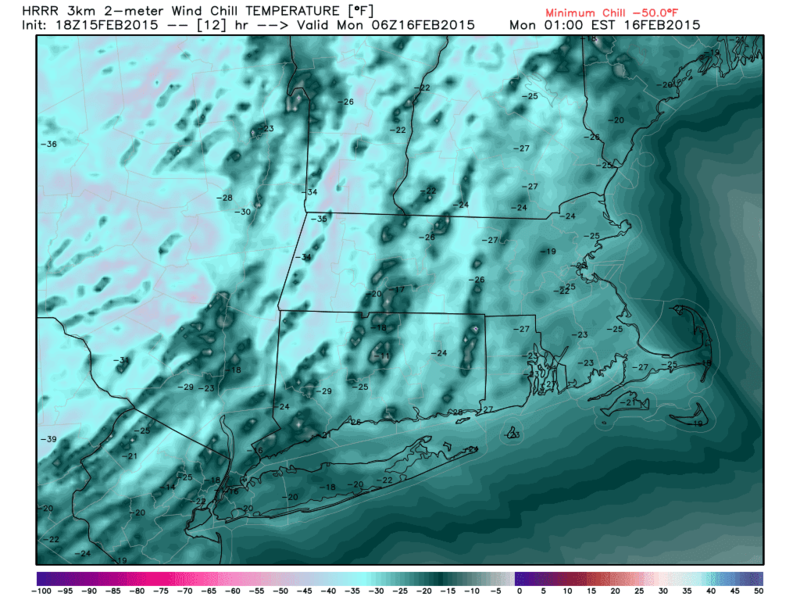 For is in Central MA this is a better solution, but still not great. This is a lashing for Maine and coastal MA, NH. Snow begins Saturday around noon. 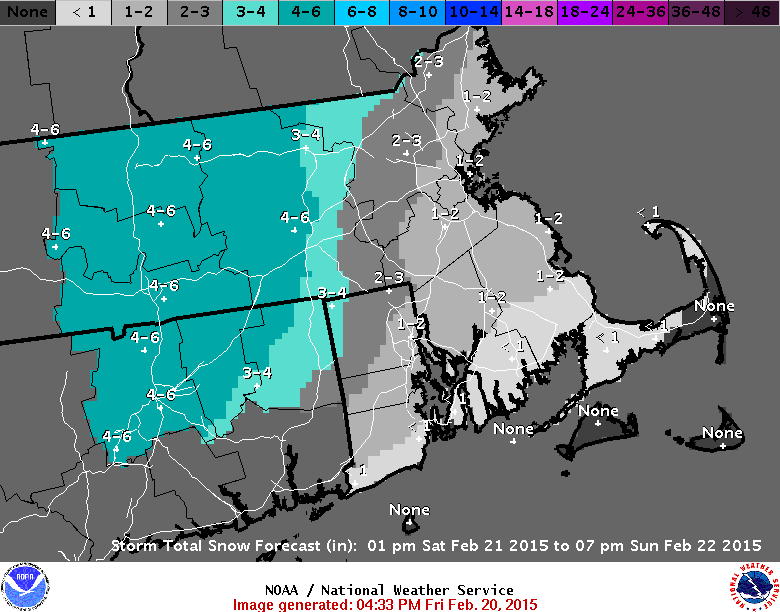 It may let up for a time Saturday evening after an initial 3-6 in Worcester County. 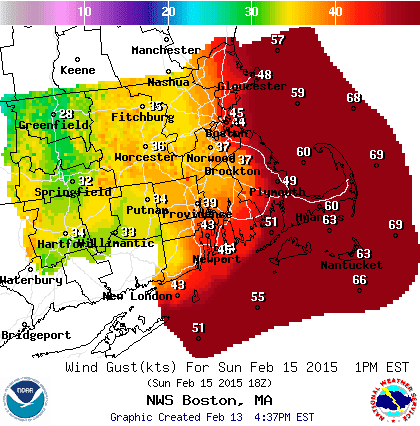 It rages at the coast as winds by Sun AM are approaching 70 mph (likely higher at times). My guess is Boston sees 12-16, Worcester 8-12, Providence 5-9. The wind will cause blowing and drifting snow. No map yet, but I'll show you the NWS when they release it. Check for an update tomorrow PM. Here we go again! 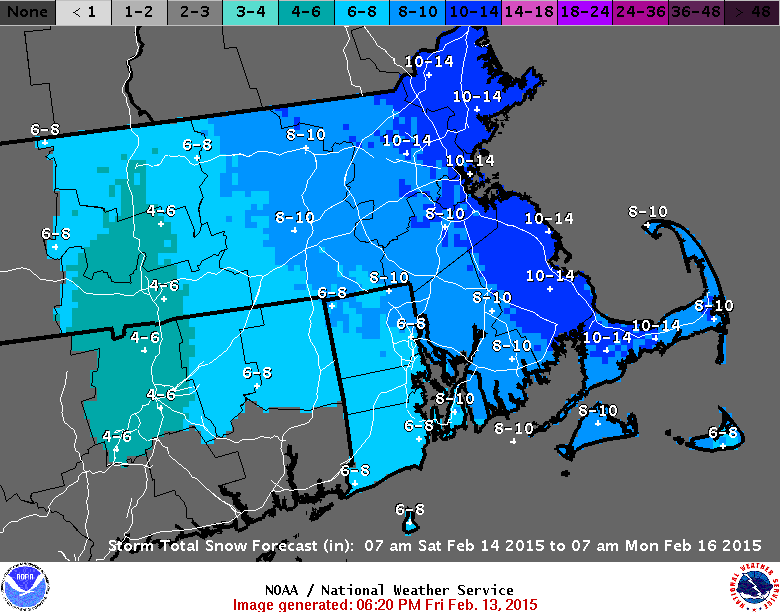 Another snow storm is on tap for Southern New England. Winter 2014-15 started slow, but it has more than made up for its modest beginning and we are starting to enter legendary territory. More snow threats are on my radar besides this storm and perhaps more impressive is an arctic blast not seen in these parts in years. But first lets take a look at this storm. A winter storm warning (pink) is in effect until Monday night. It is snowing lightly right now as a disturbance moves through the region. By tomorrow AM that boundary across Northern New England will sag south and set up around Long Island as Arctic High Pressure builds southeast. The initial snow that develops overnight and tomorrow AM is a result of warm moist air overrunning the arctic front . Expect 2-4 inches by 7-8 AM before a bit of a lull sets in. I wouldn't rule out 4-8 in Northeast MA/Southern NH by the morning. 33 in Brockton, 17 in Worcester. Heavy fluffy snow should set up on both sides of this front. Sunday overnight into Monday will feature periods of snow, at times heavy. So how much total snow are we talking? Again I will defer to the National Weather Service. These guys have been spot on so far, if not underdone at times. A general 14-24 is expected. 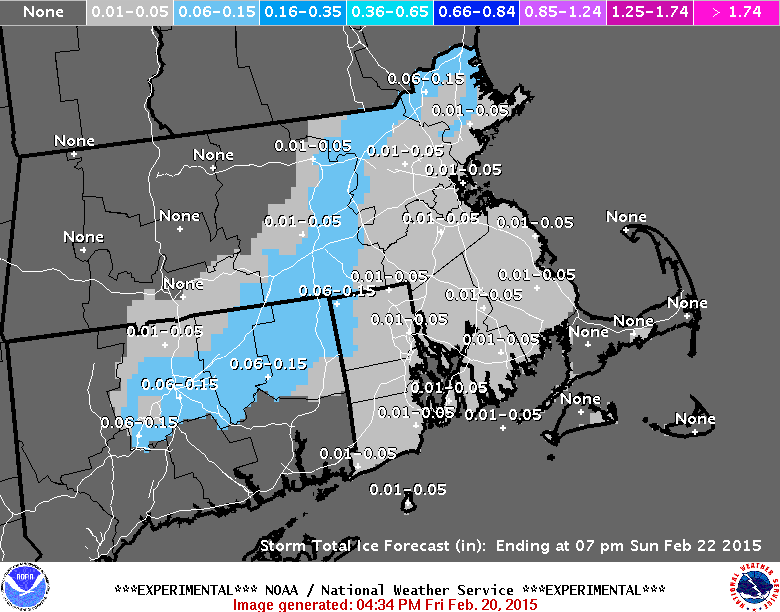 I believe the North Shore/NE MA will approach 30 in spots, especially Gloucester/Peabody. The Cape may be underdone a bit as I think Barnstable/Sandwich/Bourne will do better than 4-6. Eastern Worcester county is looking closer to 18 than 14. In fact 20 wouldn't be surprising. Use good judgement. We should all be able to handle driving in snow by now. However the snow banks are going to be ridiculous after this. Thursday PM-Friday is another storm threat. 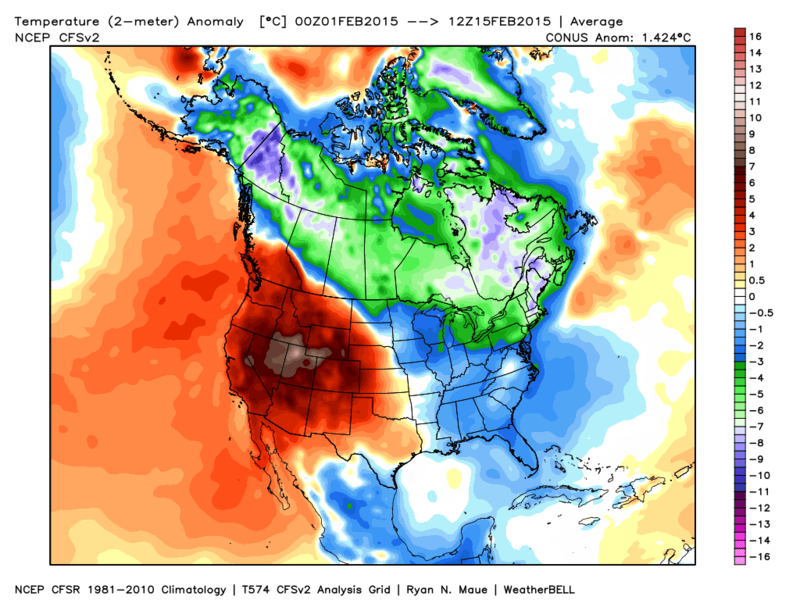 If it hits we probably avoid record cold Friday. 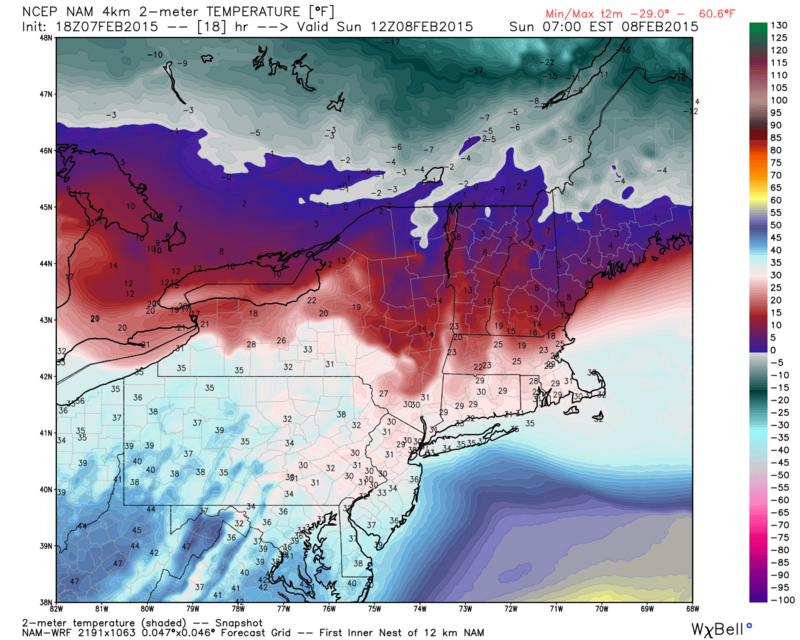 If it doesn't temperatures could plummet to -10 to -20 Friday AM. As it stands now that is what we see Saturday AM.